Aaron arrived in Ohope in 2010 to take up a role as Sales Engineer for the well-known, local engineering company AIE, upon arriving he immediately knew he had found a special place. With the Pacific Ocean on his front doorstep and Te Urewera as his backyard, the community feel as embodied by the friendly locals and the lifestyle available to any that would embrace the natural surroundings, Aaron has put down long term roots and now calls Ohope “home”. Aaron’s career to date has had a focus on engineering, but over the last 10 years, the transition has been to sales. Aaron is a strong believer in doing right by people and his focus on customer care has seen him succeed in his career to date. Aaron loves both real estate and people. He is confident of success given his career to date and strong work ethic. To speak to Aaron regarding your property requirements, either buying or selling, call him on 0800 4 AARON. David Marshall is a brand name in Ohope synonymous with success in real estate. He is undoubtedly Ohope’s highest achieving real estate consultant. Since beginning his career with Harcourts, Whakatane in 1994 David has consistently accomplished outstanding results on both a local and national level. David’s a uniquely relaxed character with an extensive local knowledge – yes a born and bred local. His passion for the area and most especially Ohope knows no bounds. He actively lives the beach life that others simply dream of. Add in exceptional negotiation skills and we have a recipe that gives his clients absolute confidence and ease with the decision making of buying or selling their beach homes. David can proudly say “today his business comes largely from referrals and recommendations from past clients, along with a high percentage of repeat business.” David’s renowned as a talented photographer both above and under the water. He has 100’s of dives under his belt in local waters and many exotic dive spots around the world. The above is kept well balanced by being up with the sun, or before, and kick starting the day with fishing or fitness. And at the end of a day its back on the beach appreciating what nature has gifted, of course with camera in hand. You’ve heard her on the radio, seen her in the newspaper, on plenty of real estate signs over the years and you may have seen her flash by in her car – a Kia Stinger with her distinct “FOR DEB” number plate. The slick Panthera Metal ‘techno machine’ and its equally spirited driver are well known around the streets of Whakatane and Ohope. Deborah is an effervescent, friendly, ‘always-on-the-go’ professional woman. Having grown up on a farm in Rotorua, she moved to the Eastern Bay in 1988. 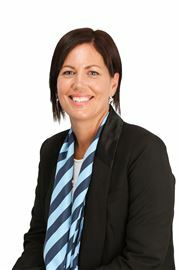 In her spare time, Deborah loves horse riding, photography, bush walker, music and socialising with friends. Deborah is also an active member of the Whakatane Rotary Club, and gets a great deal of satisfaction from assisting with various community service events and fundraisers. 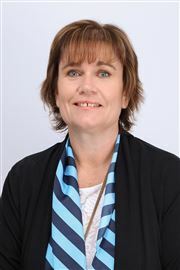 Deborah began working at Harcourts as a receptionist in 2002 and gained her Real Estate Salespersons Certificate 18 months later. Since then she has successfully helped hundreds of clients buy and sell real estate. She loves what she does and says that she can’t imagine ever doing anything else! A favourite part of Deborah’s job is helping clients who are in their ‘golden years’ sell up and purchase a new property more suited to their lifestyle. Whatever the situation, Deborah will be there guiding her clients through a process that can otherwise be quite stressful. Deborah enjoys working as part of the highly successful Harcourts Whakatane team whose combined strength and knowledge make them a formidable force in the local real estate market. Having been in the industry for over 15 years, Deborah has a wealth of experience in real estate, including appraising properties, which she is happy to do free of charge and without obligation. Should you be thinking of selling, she can also offer advice on how to prepare your home for sale. You can be assured that Deborah and Harcourts will be ‘with you all the way!” The real estate market in Whakatane is currently very buoyant, with an influx of people moving to this area from the likes of Auckland and Tauranga, for its relaxed lifestyle and affordability. Houses in our area are in great demand with demand currently outstripping supply. If you are feeling like it’s time to make a change or want to find out more about the process of buying or selling a Whakatane or Ohope property, phone Deborah today. Des is very well known in Whakatane and has been employed with Harcourts since it first opened in the area in 1991. He has been involved in Commercial and Industrial real estate for 19 years and received his long service award in 2015 for his many years with Harcourts. 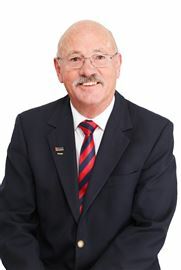 Originally joining the real estate industry in Whanganui in 1978 selling residential properties, Des moved to Whakatane in 1986, where he still sold residential properties up until 1998 after which he began specialising in Commercial property. 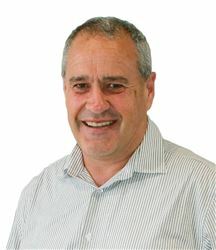 Known as Whakatane’s Commercial, Industrial and Leasing expert, Des has first hand local market knowledge and an understanding of the local commercial property market unmatched by others. Selling over $75 million of commercial and industrial property and businesses and a recipient of 45 Excellence Awards both in the Central Region and Nationally attributes to Des’ wealth of knowledge of the Whakatane region and its history. He is able to provide comprehensive and accurate information specific to property to aid clients in their decision making process. OBJECTIVES AND ASPIRATIONS FOR WHAKATANE: Des is often asked to consult with local and regional council on developments and the expansion and growth of the commercial and business areas. Des has a passion for Whakatane and is keen to see the area grow and provide sustainable opportunities for future generations. I have lived in the Whakatane area for the last 20 years and prior to the Eastern Bay spent most of my life in Hamilton, where I was involved in Real Estate for 4 years. For the past 18 years I have been involved in the local real estate market and have enjoyed working with the Harcourts team, now specialising in the Kawerau and surrounding areas. Real estate is all about service and building relationships with past and present clients. My clients deserve and expect a high level of professional service and clear communication. Michelle has lived in the Eastern Bay of Plenty all her life and will be known to many for her involvement in retail business for 16 years along with her husband David. She is married to David and has 3 boys. Since 2003, Michelle has had a successful real estate career and has achieved this mainly due to her honesty, integrity and believing that you need to go that "extra mile" for your clients. 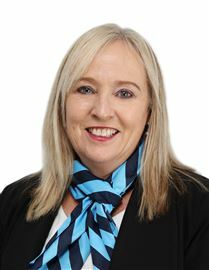 Her down to earth honest approach leaves her clients knowing they are in the best possible hands and Michelle's enthusiasm for the Real Estate Industry and people makes her a number 1 choice when choosing an agent. Michelle knows communication is of the utmost importance and her commitment to vendors/purchasers ensures they are continuously kept up to date with all relevant details. If you are looking for a top agent with a proven track record call Michelle today. You won't be disappointed. A lifelong resident of the Bay of Plenty means Phillip has an in-depth knowledge of the region as well as strong ties with the rural community. Born and raised on a family owned sheep and beef farm. Phillip began his working life as a farm cadet and progressed right through every stage of the NZ Dairy Industry to eventually own his own 450 cow Dairy Farm. During this time, he held numerous representative positions within Federated Farmers, New Zealand Dairy Group and Fonterra. He also spent 7 years on the Board of Trustees at his local Primary School. The last 2 years as board chair. Phillips interest in Real Estate began with being involved in the buying and selling of several commercial properties during the late 1990’s and into the early 2000’s period. It was this experience that gave Phillip a significant insight into the workings of the Real Estate Industry and spurred him to gain his Real Estate Licence in 2005. Phillip is committed to providing owners of Farms, Lifestyle Blocks, Orchards and all other rural land with a no nonsense, highly professional real estate service. His high level of motivation and helpful, friendly manner along with his commitment to provide every client with the same advice as he would a close friend or family member ensure that your property is in safe and very capable hands while being listed with Phillip. Selling your property is one of the more important decisions you will make in your lifetime. Choosing the right Real Estate company is important; but choosing the right Sales Consultant is paramount to a successful sale for you! The first weeks of the sales process are the most crucial in the marketing and sale of your property, so getting the right professional advice and careful planning by an experienced Sales Consultant will make your transaction a smooth one. I have been involved in the Whakatane/Ohope Real Estate market since 1991 as a residential specialist and completed a Graduate Diploma in Business Studies in 2007 majoring in Real Estate (Massey University). Having also been involved in management and ownership of a Real Estate company, I am able to pass on the benefits of this experience to my clients. While experience and qualifications are important, forming good working relationships with clients is hugely beneficial, understanding their expectations and requirements together with open friendly communication works well to achieving the result you require. Whether you are purchasing or selling, talk to me, I am always available to provide information and advice or discuss any Real Estate matters or concerns you may have. I am proud of my reputation of being a reliable Consultant and one that will persist to achieve the desired result expected by my clients. 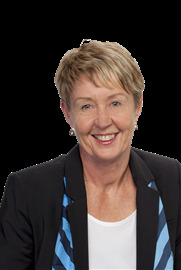 Trudy has a wealth of knowledge and has marketed a large range of properties over the years for her Vendors. Her customer service, negotiating ability and selling skills have been proven time and time again with some outstanding results. Trudy has a reputation for her people first approach along with designing strong marketing campaigns for each of her client’s needs. Her high level of enthusiasm and commitment shines through and her nothing is too much attitude is evident. Trudy’s points of difference would be her ability to relate to her clients and create a relationship of trust and respect. She believes that first impressions count in all aspects of life and will happily give advice on how best to prepare/present your home for premium results. Trudy believes that selling a property need not be stressful and with constant communication and easy access, she will focus on getting your property SOLD! She wants her clients to feel confident in the knowledge that every opportunity has been utilized and promoted during the selling process including video and social media. Trudy has a strong work ethic and a determination to succeed. Trudy’s moto is you never get a second chance to make a good first impression…..Do it once, do it right. Give Trudy a call if you are looking for a focused, results driven person happy to go the extra mile to make your property stand out above the rest. Born and bred in Whakatane and the son of a successful local real estate agent, Matt has great general knowledge of the area having grown up spending time in the great outdoors, mountain biking and fishing with the family. He attended Trident High School and most recently working at Ocean Sports Marine assisting in both parts and sales before deciding to make the change to real estate after the opportunity arose. 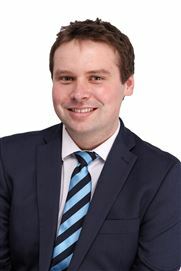 Matt is now beginning his real estate career after being offered a scholarship position with the Harcourts office in 2017 and completing his study and attaining his license in April of 2018. Along with the experienced and knowledgeable team at Harcourts Whakatane he is gaining a significant understanding of all dimensions of real estate. While Matt may be new to the industry, he has always been very motivated and enthusiastic about helping others and along with Harcourts’ philosophy of being “with you all the way” his aim is to create an experience for his clients while minimising the stress of buying and selling to make the process as simple as possible. With great communication skills and a super friendly personality, Matt is a welcome asset to our team. If you’re looking to sell or buy, why not give Matt a call or pop in and see him at the office. Looking for a Harbour Gem? Fancy Building Your Own Home? Two Dwellings on One Title!